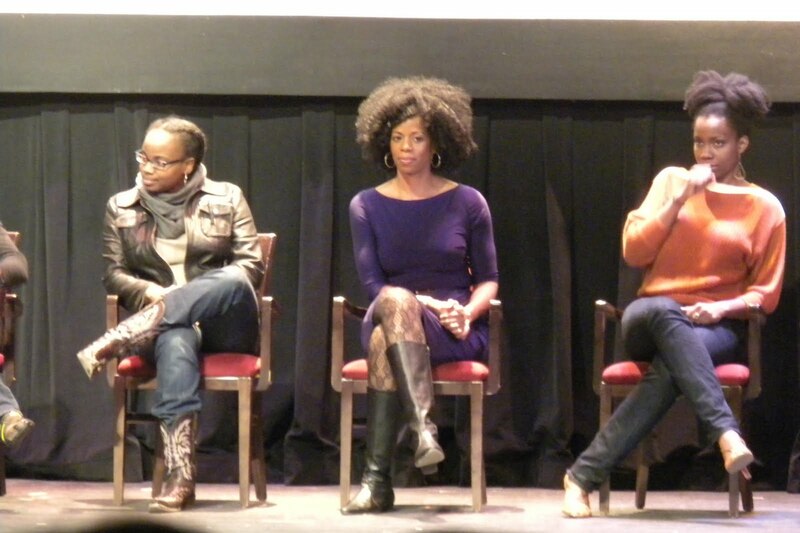 Tonight the Lincoln Theatre in DC hosted a screening of the new film Pariah, followed by a Q&A panel discussion with writer/director Dee Rees, producer Nekisa Cooper, and actors Adepero Oduye and Kim Wayans. I was not sure what to expect from the film, but I was very excited to see Kim Wayans in a dramatic role. I have fond childhood memories of watching Hollywood Shuffle and In Living Color with friends when we were not quite sophisticated enough to understand all of the adult humor, but just old enough to love it and repeat catchphrases for years to come. (But I ain't one to gossip, so you didn't hear that from me!) The Wayans are an immensely talented family and Kim's dramatic performance was enough to bring me to the Lincoln Theatre tonight. Yet, there is so much more than Kim's outstanding performance that make this film worthwhile. In short, the film is about a 17-year old girl (Alike, or "Lee") coming to terms with her lesbian identity, and struggling with the expectations and influence of her family and friends. All of the actors in the film do a spectacular job of bringing very real characters to life on the screen - each battling their own personal challenges. Pariah is an impressive film. Writer Dee Rees has brought very rich and complex characters to the screen in a relatively short debut film (86 minutes, according to IMDB) I see a lot of movies, and most of them rely on a standard formula. In the first 30 minutes of most films, you can often predict certain elements - you know who is going to fall in love with who, the tragic flaws within the characters begin to develop and you begin to take things for granted on where the plot is going. Pariah constantly kept me guessing. Judging by the title and subject matter of the film, I was repeatedly trying to predict the "gotcha" moment or dramatic climax that was going to happen next, but I was always pleasantly surprised. The flow of the film is such as life. I never knew which direction the story was going to go, just as Lee herself never quite knew how to handle herself in those situations. The interaction between the family was so familiar that there were scenes that had the audience laughing that may not have been intentionally humorous, but something as small as a reaction of a spouse, parent or sibling felt so familiar that the theater filled with murmurs of laughter. It felt like a shared experience because on some level, we have all had the same awkward interactions in our own lives. It is this familiarity that makes the movie feel so real. In a word, "real" is the best way I can describe the film. It is not just the overall feeling of the film, but in the literal sense as well. During the Q&A discussion after the screening, writer Dee Rees explained that she based the film on her personal experiences. While it is not completely autobiographical, she shared many experiences and struggles of the main character. It portrays the experience of many people in the LGBT community who have struggled with their sexual identity while looking for love and suffering their own family conflict, but it is such a personal glimpse, that it is easy to relate to the characters and what they are going through. Anyone who has felt that they did not fit in and has ever struggled with the expectations of family or friends will likely see a part of themselves in Lee. 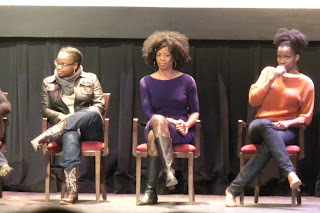 During the Q&A, an audience member explained that she was of the same generation as the mother (Kim Wayans' character) in the film, and it helped her as a parent to see the other side of the struggle in accepting children for who they are, rather than who they are expected to be. After this comment, Dee Rees' response was so genuine and touching as she explained that is the reaction she had hoped for when working on the film - To reach people and allow them to understand the main character's internal struggle and coming of age, while constantly dealing with the labels that other people have projected onto her. It is a very impressive film and the filmmakers made it clear that it will have a very limited release beginning in December, so word-of-mouth is very important in encouraging people to see the film. I don't know how persuasive of a case I have made since it is getting late and we all know I am challenged when it comes to film reviews anyway. So what I am saying here is - I encourage you to see the film. More information about Pariah can be found here.